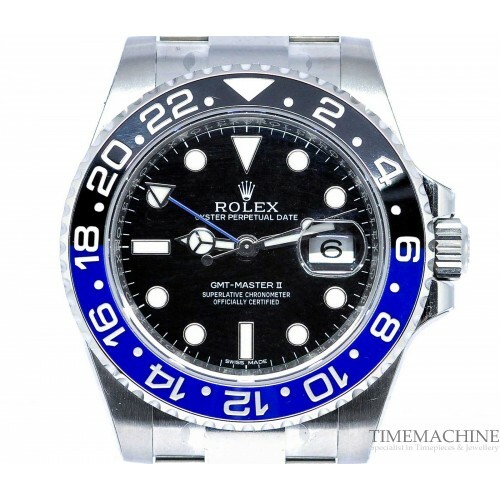 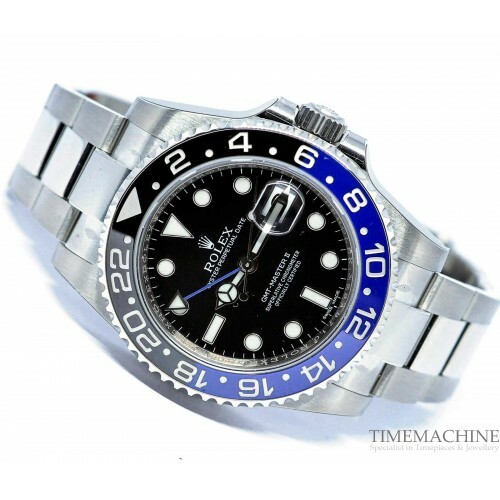 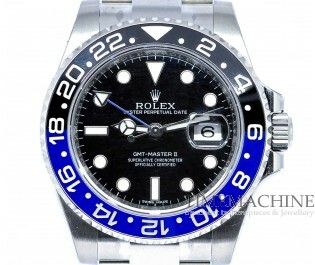 Unworn Rolex GMT Master II 116710BLNR Oyster Perpetual Date, automatic movement, 40mm steel case, black and blue ceramic bezel with Arabic’s numerals, black dial, sapphire crystal, steel bracelet with folding clasp. 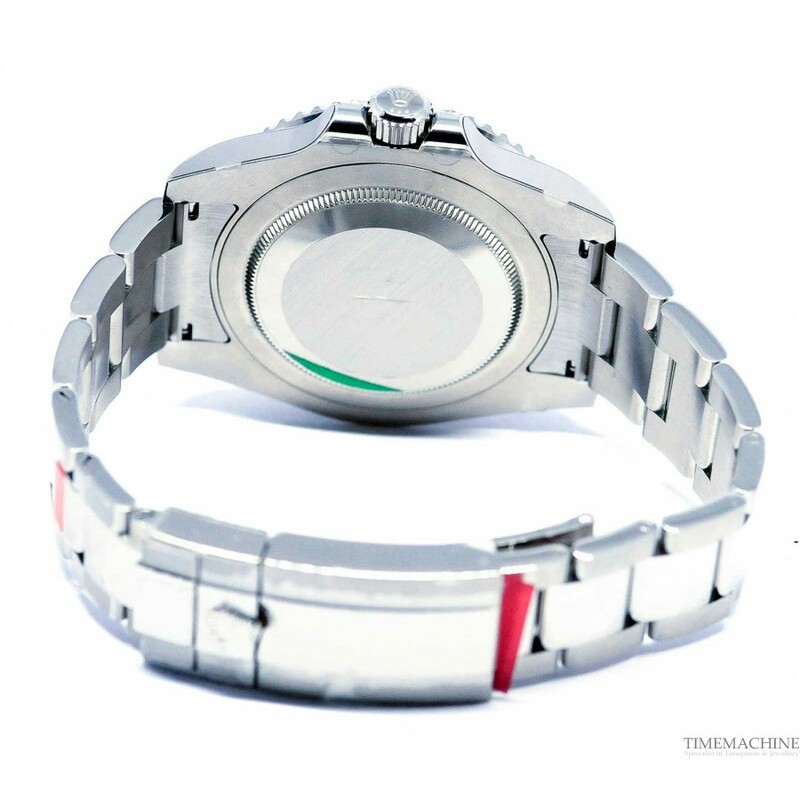 Please quote 4587 in all communications with us regarding this Timepiece. 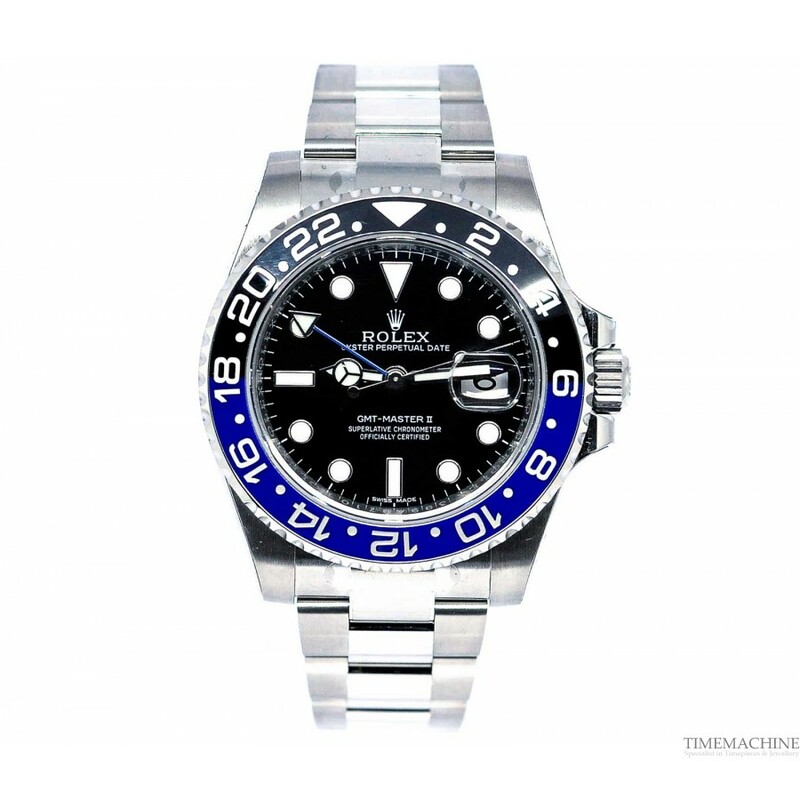 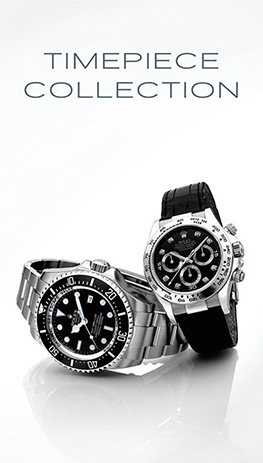 The Rolex GMT-Master II, originally created for professional use, has become, thanks to its unparalleled functionality and fine-tuned style, the globetrotter watch. 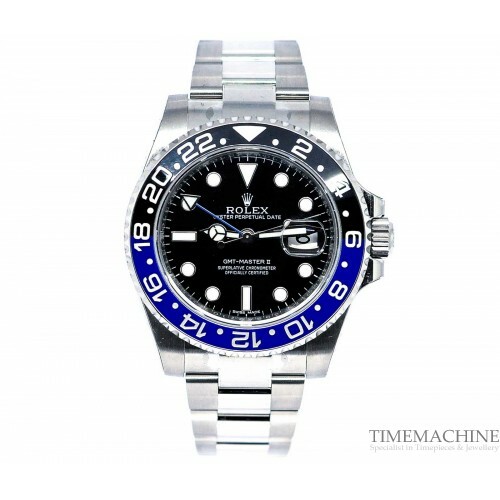 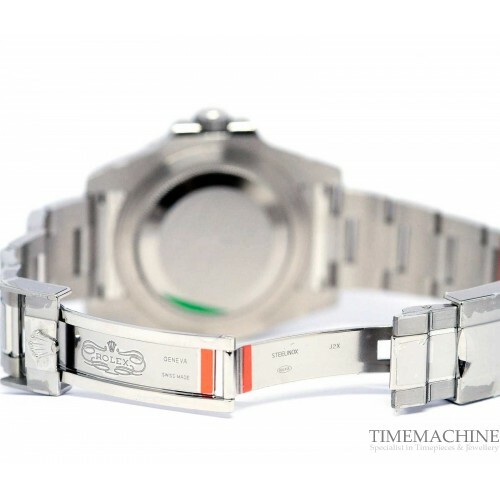 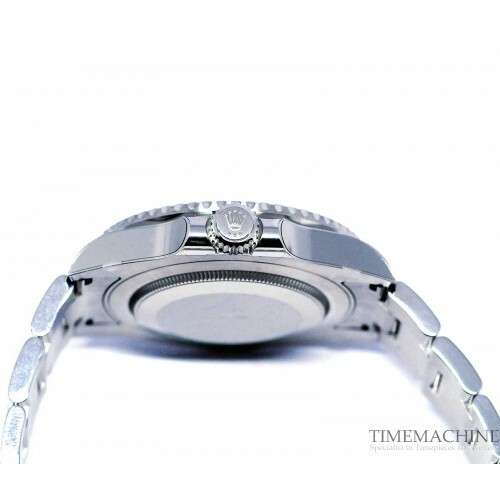 The GMT-Master II is also appreciated for its robustness and cosmopolitan appearance, if its double time zone continues to facilitate travelers' reference points between two transcontinental flights.